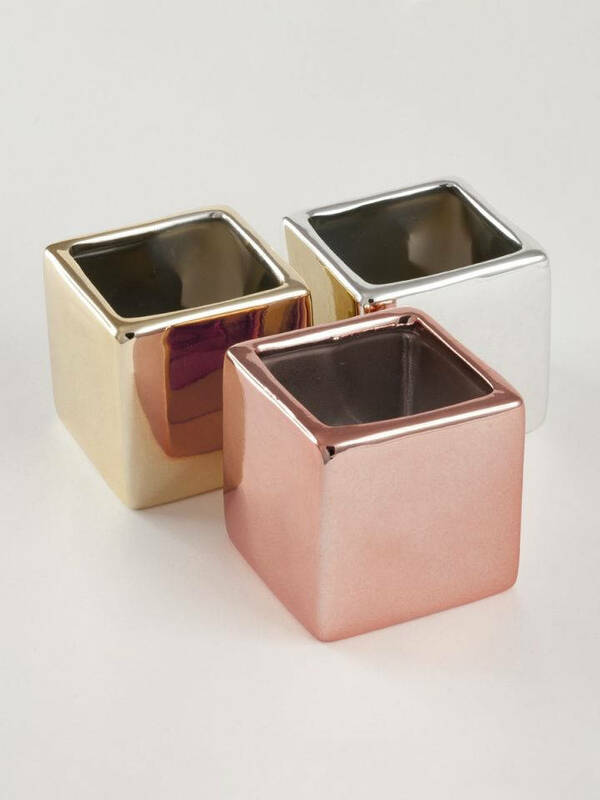 5 Wedding favor mini flower pots in your choice of 1 of the colors listed. 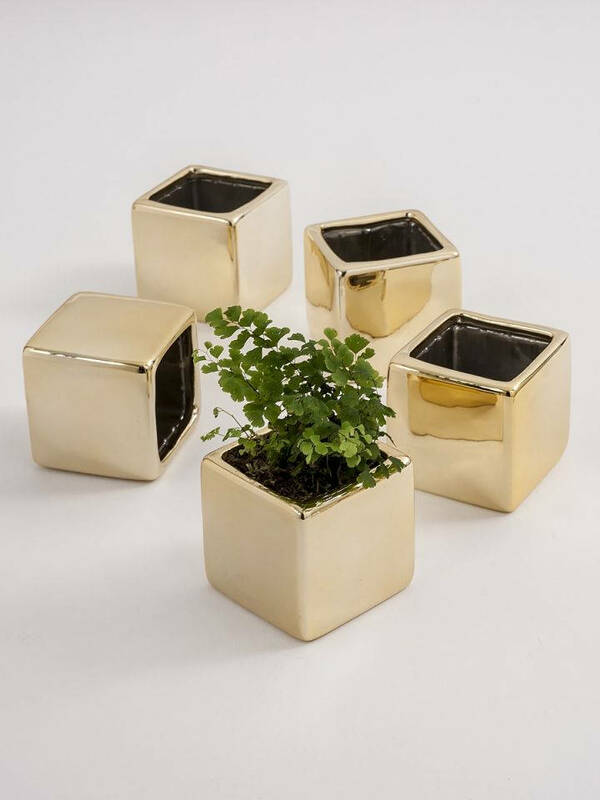 Mini plants are everywhere and these gorgeous metallic flower pots are perfect to use as favors, event décor and will even work great in your home. Each pot includes a PVC insert to hold your plants. Be sure to add some gravel in the bottom of the insert for drainage. Then add herbs, succulents, mini ferns or whatever you like! With some extra potting soil of course. Add some moss for texture and you’ll have a fun decoration everyone will love! Available in silver, gold or rose gold. Pot Size is 2.5”w x 2.5”h. 1 Pack of 5 in your choice of 1 color. These were great as a wedding favor with personalized packages of seeds to go with them. Very cute and in our rose gold theme.